Cycling is a very effective exercise – it targets many parts of the body. It helps build muscle and tones your body well, making you fitter. Moreover, cycling is an extremely easy sport and does not require much skill to master. All you need is a bicycle and a road or cycling path, and you are good to go. Having said that, anyone who rides a bicycle should take note of safety measures. Professional mountain bikers stress on using a bicycle helmet that will protect you from accidents or danger, and yet last you a considerable amount of time. There are various kinds of mountain bike helmets in the market with differing price range, materials and design. Regardless of these, the safety features of a helmet are probably the most important to look out for. One aspect of a mountain bike helmet’s safety that is often overlooked is its ear protection for wind noise. Over the last few decades, bicycle helmets have evolved to become tougher, sturdier and able to withstand terrible knocks. Their designs have also become more sleek and appealing. However, many cyclists who commute over long distances still complain of hearing deafening noises due to headwinds or crosswinds. According to ear surgeons, cyclists may be exposed to loud noises of 85 dB or more when faced with strong winds. If left unchecked, this could cause long-term damage to your hearing. Wind noise can cause damage to your hearing. 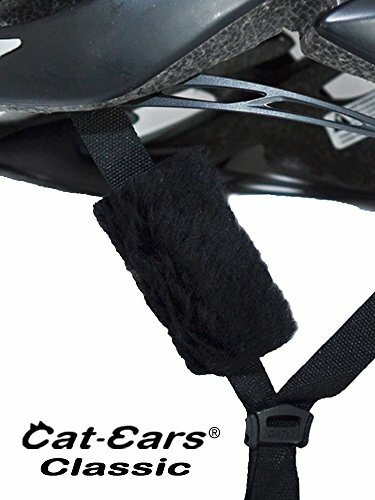 Protect your ears when cycling! Instead of chucking out your bicycle helmet (very dangerous! ), some companies have developed noise-cancellation “wind shield” add-ons to reduce the wind noise. These are usually soft cushion materials that are wrapped around your bicycle helmet strap or glasses, and claim to reduce up to 60% of all wind noise. There are now quite a few companies which manufacture wind noise blockers for cyclists. However, before purchasing any of them, it is important to check if they are wind-tunnel tested. Wind tunnel testing is a stringent engineering test, used to determine the effects of air moving past a solid object. The wind noise blocker should be made of comfortable moisture-wicking material to absorb perspiration during a cycling session. In addition, try to find out if the product has been bought by many other cyclists and if it has excellent reviews. Mountain bike helmet technology has come a long way in the last few years. Bike helmet manufacturers are constantly incorporating new technology that can improve users’ experience. The more innovative bike helmets on the market today have included ear guards and wind protection to prevent interference and make your ride more pleasant. If you are looking to purchase a new helmet, you might want to look out for these newer models. If you’re looking for wind noise blockers to improve your cycling experience, we have a few recommendations below that you could check out. If you are a regular cyclist, the importance of bicycle helmet ear protection for wind noise should not be underestimated. Nowadays, wind blockers are tested vigorously in wind tunnels for performance, and are also quite affordable. Getting one for your cycling sessions is definitely a sensible choice.